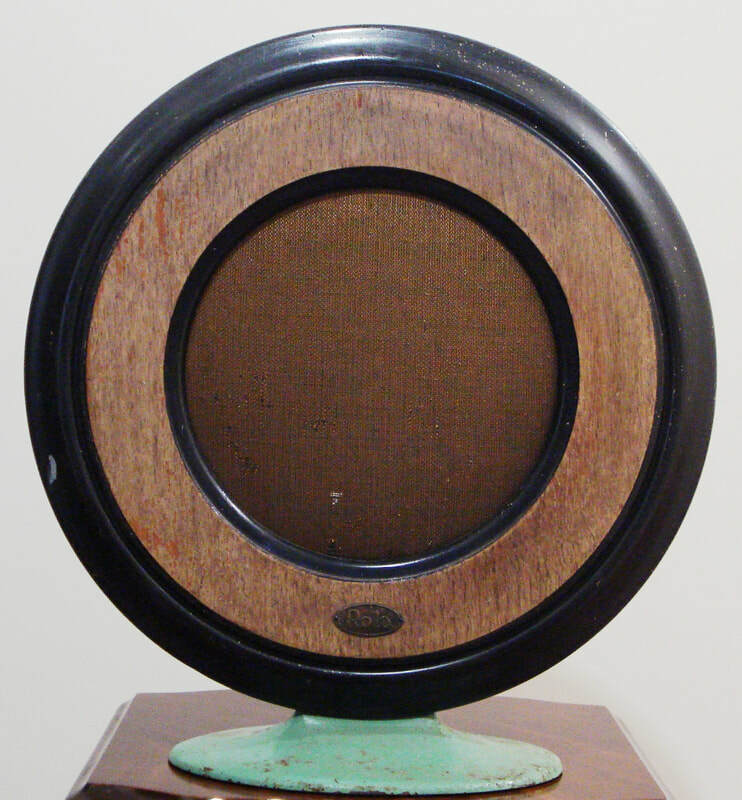 1924, model Re Creator, cone loudspeaker, manufactured by The Rola Company, Oakland, California, USA. It has a wood trim with metal frame and base finished in soft green. Dimensions: Height 430mm x Diameter 400mm. 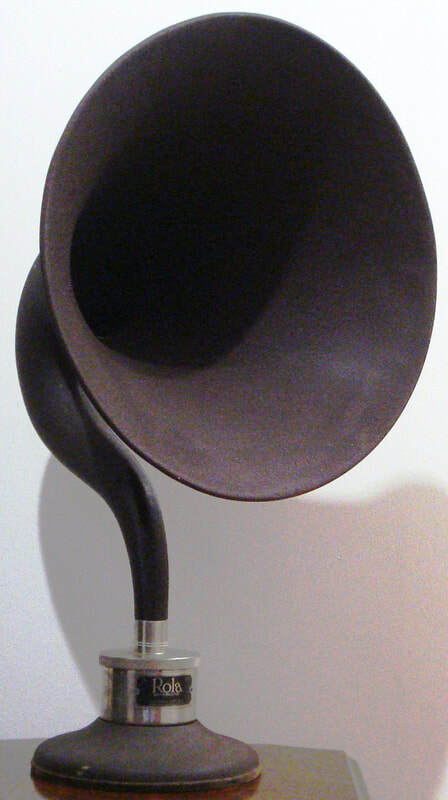 ​1925, model Re Creator, horn loudspeaker, manufactured by The Rola Company, Oakland, California, USA. It has a metal case construction. Dimensions: Height 580mm x Diameter 370mm.